Drager short-term gas detection tubes are known worldwide for their ability to carry out on-the-spot measurements of various gases. 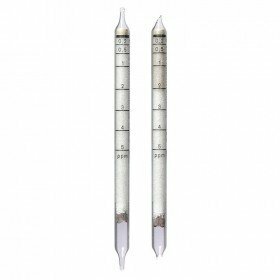 These particular tubes are Hydrogen Sulphide (H2S – 0.5a) and have a measurement range of 0.5 to 150 ppm. They have a shelf life of 2 years and come in a pack of 10 tubes. The Drager Gas Detection Pump (Accuro) is compatible with the short-term gas detection tubes. You can purchase this product by clicking here.